Visions & Trends has reported on the forthcoming release of Toshiba’s first MFP that can erase printed images and text, due for release in Japan from February 2013 with a worldwide launch planned shortly after. The e-STUDIO 306LP MFP, combined with the e-STUDIO RD30, is described as able to "[remove] the toner color from the printed documents. The instantly erasable toner is a special toner whose color is removed by passing the paper through the RD30 [component] at high temperature". Noting that each sheet of paper used five times over constitutes a 57% reduction in the device’s total CO2 emissions, the RD30 component is also able to arrange paper into reusable and non-reusable sheets. Toshiba states that the reusable paper solution "opens a window to a new work style in the office environment by encouraging users to re-use paper through the new system". Toshiba has developed a unique toner that can be removed from ordinary paper for reuse, reports Geek. The process utilizes a heated friction technique known as "FriXion Ball" which can remove the toner up to five times. The removal process is yet to be perfected, with very feint markings still visible on the paper although Geek states that "it’s good enough that further print outs are possible". The printer is also capable of scanning and saving digital copies of pages before deleting the toner, and on detection of a sheet that can no longer be used, the page will be moved to a different tray. Although the technology for reusable printer paper has previously been developed by the Industrial Technology Research Institute called i2R e-paper, the technology is comparatively expensive, with each individual sheet of compatible paper costing $2. Toshiba notes that the new printer and ink is set for release in late 2012. While the only toner color available initially will be blue, Toshiba plan for other colors. Geek speculates that a full color version may eventually be released and, more pertinently, with the toner making the erasing procedure possible, multiple printer manufacturers may produce compatible hardware. Check our web-store for Toshiba ink and toner, we may have what you need! A researcher has alerted the U.S. Computer Emergency Readiness Team (US-CERT) that Samsung printer firmware contains a hardcoded backdoor administrator account that could allow remote network access exploitation and device control. The admin account does not require verification, opening up the devices and users' networks to potentially serious remote attacks. Samsung has stated that models released after October 31, 2012 are not affected by this vulnerability. Samsung has also indicated that they will be releasing a patch tool later this year to address vulnerable devices. Samsung is committed to releasing updated firmware for all current models by November 30, with all other models receiving an update by the end of the year. Security researcher Neil Smith reported the discovery to US-CERT on November 26. Mr. Smith has since published details of the Samsung Printer SNMP Backdoor to his Tumblr. A remote, unauthenticated attacker could access an affected device with administrative privileges. Secondary impacts include: the ability to make changes to the device configuration, access to sensitive information (e.g., device and network information, credentials, and information passed to the printer), and the ability to leverage further attacks through arbitrary code execution. A successful attacker could almost certainly read print jobs. People assume that what's going to their printer is private - such as payroll data, tax forms, contracts, etc. At this time, Samsung appears to have pulled all of its printer firmware from its support pages. Samsung printers contain a hardcoded SNMP full read-write community string. According to US-CERT. it remains active even when SNMP is disabled in the printer management utility. This runs counter to what Samsung's Public Relations Manager announced via email saying, "The issue affects devices only when SNMP is enabled, and is resolved by disabling SNMP. However, for customers that are concerned, we encourage them to disable SNMPv1,2 or use the secure SNMPv3 mode until the firmware updates are made." Some Dell printers manufactured by Samsung also have the admin account backdoor access. In case you're not familiar, SNMP is an Internet-standard protocol that network administrators use to manage connected devices such as routers, servers, printers, hubs and more. Smith tweeted, "This isn't remote code execution. But it allows for remote firmware update over the wire." US-CERT recommends users implement general security prophylactics until the issue is resolved: namely, restricted device access and to "only allow connections from trusted hosts and networks." Samsung is aware of and has resolved the security issue affecting Samsung network printers and multifunction devices. The issue affects devices only when SNMP is enabled, and is resolved by disabling SNMP. We take all matters of security very seriously and we are not aware of any customers who have been affected by this vulnerability. However, for customers that are concerned, we encourage them to disable SNMPv1,2 or use the secure SNMPv3 mode until the firmware updates are made. For further information, customers may contact Samsung customer service at 1-866-SAM4BIZ for business customers or 1-800-SAMSUNG for consumers. Visit priceless-inkjet.com if you need ink or toner for your printer. How much ink does your printer waste? If you only use your printer occasionally, you could be using more than six times as much ink as you would printing the same number of pages in one go. Ink is wasted when a printer runs a cleaning cycle, often as it is switched on, which means that less of the ink you buy ends up on the page. The result is that you’ll need to replace your ink cartridges more frequently, paying high prices for ink that you’ll never even get to use. Which? 's tests have found a dramatic difference between the amount of ink your printer gets through when it’s printing occasionally over a period of weeks, either switched off in between or left in standby, and when it’s printing the same amount all in one go. The results below show just some of the shocking differences in ink use Which? have encountered in their lab tests. The figures show the difference between printing 50 sheets of color graphics continuously (all in one go) versus occasionally (over a period of weeks, with the printer either switched off or left on in between prints). Prices are based on typical cartridge costs for each brand. As the graphic above shows, there are huge differences in the amount of ink you’ll get through depending on whether you’re a frequent or occasional printer, and whether you leave your printer off or on between jobs. How can you save on your printer ink? Nobody wants to store up all their printing to do it in one go just because it’s more efficient. So what’s the best alternative – leaving a printer on or off between prints? Which? 's tests found that it’s not always the case that leaving a printer in standby is a better option than switching it off altogether. The HP printer we tested wasted less ink if you did not switch it off between prints. The Canon and Epson printers wasted less ink when we turned the printers off in between, instead of leaving them in standby. If your printer sounds like it’s cleaning its heads every time you turn it on from cold, it may be cheaper to leave it switched on permanently and let it power down itself into sleep mode. How much energy is wasted leaving a printer on? Leaving any device on around the clock may seem like a waste of electricity, which is why Which? 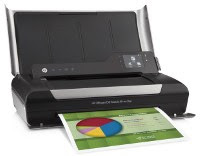 measure the energy use of printers in their lab. If you left the HP Officejet Pro 8500a Plus eAIO in its sleep mode after printing, rather than turning it fully off, it would cost you roughly $4.08 a year in electricity. This can work out cheaper than having the printer waste ink when you switch the printer on, given the cost of buying new cartridges. Every time you run out of ink, feel free to visit Priceless Ink & Toner and resupply. Source: How much ink does your printer waste? 3D Printing... it will change the World! 3D printing is also known as "additive manufacturing" and is the process of creating objects by laying down successive layers of materials according to a digital blueprint. The materials than can be used vary wildly, and modern 3D printers can also lay down layers with different materials in virtually any shape, making it a wildly attractive technique for a huge variety of industries. Another benefit of this new method is the ability of companies and individuals to economically produce small runs of a concept or prototype – as opposed to traditional subtractive manufacturing which is only economically viable when dealing with huge numbers of products. This reduction in costs means that even solo designers can create a prototype cost-effectively – opening up the doors to innovation in the manufacturing space. · Medicine - Doctors are now able to print out exact replicas of a patient’s body in order to practice or run over complicated surgery routines in advance. Beyond that, scientists are working on being able to actually print out new body parts and organs, opening up a whole new world of rejuvenating therapies. · Hearing Aids - With 3D printers and scanning technology, a scan of the hearing canal is taken and can be used to print out personalized hearing aids that conform perfectly to the individual, increasing comfort and clarity. · Prototyping - The low-cost associated with producing a one-off prototype of a design means that more risks can be taken, flaws corrected and adjustments made without running out of time or money. The gains in productivity and innovation are just beginning to be seen around the world. · Component Manufacturing - Picture this – a manufacturer realises that they’re missing a small part necessary for the completion of a project. In the past, they had one option – send in an order and wait for the part to be sent by physical post. Now, with 3D printing, a scan of the part can be sent electronically, and the necessary part printed out immediately. · Spare Parts - These days, if say, your printer at home breaks down due to a broken part, you’re likely to either throw it away and buy a new one or have to wait several weeks while you wait for a new part to be sent out. With 3D printing, it won’t be long before you’ll be able to print out the part at home using a personal 3D printer, saving time and money. These are just some of the possibilities that have been opened up by advancements in 3d printing, and over the next few years we will start to see it make its way into our daily lives. But if you are still using an inkjet printer or laser toner printer, visit our e-store for the printer supplies you need! Croatian scientists have discovered that counterfeit banknotes can be easily identified by testing for yellow toner by the Raman spectrum. Spectroscopy Now has reported on the recent findings of Croatian scientists that links counterfeit banknotes with yellow toner, and potentially leading to a forensic spectral library of yellow toners in a bid to crack down on counterfeit banknotes. Analysing 44 commercial cyan, magenta and yellow toners using 36 printers from 10 manufacturers, the tests were conducted using micro-Raman spectroscopy and an excitation wavelength of 514.5 nm, as reported in Forensic Science International. The results revealed that, when subtracting the spectrum of the paper, the spectra of cyan toners were identical and magenta toners showed slight differences. 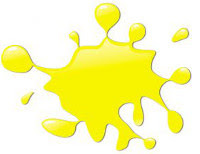 However yellow toner often resulted in substantial differences, even in toners from the same manufacturer, between different cartridges and those intended to work in different printer models. To determine whether the test would produce results on paper currency, two counterfeit Croatian banknotes that were suspected of originating from the same source were tested, and the Reman spectra of the magenta and yellow colors were stated as identical, pointing to a common origin. The results were backed up by conventional counterfeit protection code patterns. The researchers state that this disparity between results allows tests to be conducted to determine the origins of suspected counterfeit toners, and only the yellow toners need to be examined. The study still requires further validation across a wider selection of toners, but researchers speculate that this could lead to a forensic spectral library of yellow toners. And when you run out of printer supplies for your everyday printing needs, visit our web store. Couple a days ago HP announced new HP Officejet Pro and HP LaserJet printers and content management solutions designed to redefine business and government printing by enabling customers to reduce costs, increase efficiency and digitize the office. The new offerings represent the largest upgrade to HP’s commercial printers in almost a decade, signifying the integration of intellectual property and innovation from across the organization. HP Officejet Pro X Series desktop printers and multifunction printers (MFP) deliver up to twice the speed at up to half the printing cost compared with color laser printers in their class. This new class of devices is powered by HP PageWide Technology, the next-generation inkjet platform that sets a new standard for small work team printing. It offers small and medium-sized businesses (SMBs), remote offices and branch offices high-quality documents at up to 70 pages per minute. The creation of vast amounts of business and government data means customers need a way to streamline how information is managed and accessed. The HP LaserJet Enterprise flow MFP M525c and HP LaserJet Enterprise color flow MFP M575c offer higher-performance document processing and sharing. This provides an ideal on-ramp to the digitized world with premium scanning and data entry that speed the transition from a paper to digital office. The HP flow MFPs can be integrated with content management solutions based on software from Autonomy, an HP Company, either on-site or via the cloud. By pairing HP printing technology with Autonomy solutions, customers can access, organize and leverage information in documents, audio, video, email and web pages. The HP Flow CM Professional brings enterprise-class content management to growing businesses, with security features that also support leading banks, legal firms and stock exchanges. The cloud-based offering increases collaboration and productivity by easily capturing, indexing, storing, searching and retrieving documents through a unique user-friendly interface designed with the customer in mind. The HP Flow CM Enterprise is composed of a set of enterprise content management (ECM) offerings for large organizations that give instant access to vital information and help to integrate, simplify and automate processes to help reduce operating costs, improve employee productivity and assist with compliance efforts. Organizations of all sizes can address the need to increase productivity while reducing the complexity of their printing environment. For SMBs looking to increase office efficiencies with fast, powerful prints, HP is offering two additional series of HP LaserJet Pro printers. HP also is introducing new and enhanced document workflow solutions along with HP LaserJet Enterprise series printers that simplify productivity in enterprise organizations. For workers on the go, HP now offers greater access to print from cloud-based applications, incorporating Google Apps mailbox support through its HP ePrint Enterprise. For improving workflow through targeted customer communications across print and electronic channels, HP is offering HP Exstream LiveSite Connector and HP Claims Correspondence 2.0. HP Exstream LiveSite Connector combines solutions from Autonomy and HP Exstream to offer consistent, analytics-based, targeted customer communications. HP Claims Correspondence 2.0 reduces claims-settlement cycle time, provides faster correspondence processing and improves online awareness of claims status by uniting document content with people and processes. Epson America recently introduced a new line of large-format inkjet color plotters designed for engineering and scientific professionals – the SureColor T3000, T5000, and T7000. Marking Epson’s entry into the technical printing market, the SureColor T-Series provides architects, engineers and GIS professionals with what Epson’s calling the fastest plotting speeds in their class, as well as industry-leading plotting accuracy, and new Epson UltraChrome XD pigment inks. Built from the ground up using all-Epson engineering, theSureColor T-Series delivers resolution of up to 2,880 x 1,440 dpi, and can produce presentation-quality D-size plot in as little as 25 seconds and up to 110 per hour. They also feature an output stacking basket that organizes up to 20 A1/D- or A0/E-sized plain-paper plots. Epson says its new UltraChrome XD pigment inks provide crisp lines, brilliant color and photographic quality on virtually any paper type for accurate prints that are archival and smudge- and water-resistant. T-Series ink cartridges are available in 110 ml, 350 ml, as well as in a high-capacity 700 ml size. The plotters use cyan, magenta, yellow, photo black, and matte black inks. · Three Plotter Widths: The SureColor T3000, T5000 and T7000 feature maximum print widths of 24″, 36″, and 44″ respectively. · The new plotters use Epson’s MicroPiezo TFP inkjet print head that Epson says provide high-performance and consistency for precise plotting with highly accurate line placement and minimum line widths as thin as 0.018 mm. · Includes Epson Precision XD printer language compatible with the latest applications and workflow software. · An optional internal 250-GB hard drive releases workstations for unattended plotting, and features a Web server for print queue management and printer maintenance. · Control panel incorporates a full-color LCD display as well as simple key layout for quick access to printer features and controls, as well as an intuitive help system for most frequent tasks. The SureColor T3000, T5000 and T7000 will be available in this fall through authorized Epson Professional Imaging resellers for list prices of $2,995, $3,995 and $4,995 respectively. In one of the most significant product launches in the company’s history, Lexmark International, Inc. announced a wide breadth of new laser printers and multifunction products (MFPs) built on an enhanced technology platform that delivers productivity-enhancing solutions. Lexmark’s smart MFPs include an intuitive touch screen that provides access to many powerful applications that reduce the complexities of manual processes and improve productivity. This seamless integration of Lexmark’s smart MFPs with the Perceptive Software portfolio helps improve infrastructure efficiency and team performance to propel growth. · CX510 color laser MFP – Designed for mid-size workgroups, the Lexmark CX510 offers time-saving productivity solutions that are typically present on larger devices. This device produces professional-quality color worthy of branded marketing collateral thanks to Lexmark’s calibration technology for the PANTONE color system and Lexmark Named Color Replacement true color matching. · MX812 monochrome laser MFP – This high-performance MFP features fast processor, print, copy and scan speeds. As the first A4 monochrome laser MFP to print and copy up to 70 pages per minute1, as well as to deliver the first page in as quickly as four seconds, this is the ideal device for large enterprise workgroups who need a workhorse in the office. It provides professional finishing and comes with pre-loaded business solutions that are quickly accessible through an intuitive 10.2-inch color touch screen. An extra high-yield 45,000-page Unison toner cartridge, the largest in its class, ensures fewer user interventions to replace toner. · MX611 monochrome laser MFP – The Lexmark MX611 features a 7-inch color touch screen, providing access to pre-installed workflow solutions that enhance business productivity by automating tasks. It’s a workhorse equipped to print up to 50 pages per minute and prints or copies a first page in as quickly as seven seconds. 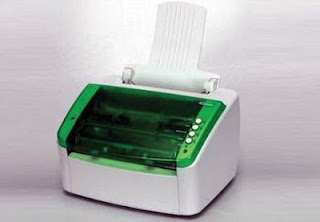 The Lexmark MX611 is the only MFP in its class that offers an automatic inline stapler finishing option. · MX410 monochrome laser MFP – The Lexmark MX410 introduces solutions capabilities on an MFP below the affordable $600 price point. The device saves time with fast processor, print, copy and scan speeds, and with powerful productivity solutions via the 4.3-inch color touch screen. It prints up to 10,000 pages per month, up to 40 pages per minute, and prints or copies a first page in as quickly as seven seconds. · MS610 monochrome laser printer – Starting at $699, the Lexmark MS610 is impressive in its own right with duplex and built-in productivity solutions. As the fastest compact A4 monochrome laser printer, it prints up to 16,000 pages per month, up to 50 pages per minute, and a first page in as little as six-and-a-half seconds. The easy-to-use 4.3-inch color touch screen also enables users to manage jobs right at the device. Hewlett Packard / HP unveiled new research indicating that the cost and frequency of cybercrime have both continued to rise for the third straight year. According to the third annual study of U.S. companies, the occurrence of cyberattacks has more than doubled over a three-year period, while the financial impact has increased by nearly 40%. Conducted by the Ponemon Institute and sponsored by HP, the 2012 Cost of Cyber Crime Study found that the average annualized cost of cybercrime incurred by a benchmark sample of U.S. organizations was $8.9 million. This represents a 6% increase over the average cost reported in 2011, and a 38% increase over 2010. The 2012 study also revealed a 42% increase in the number of cyberattacks, with organizations experiencing an average of 102 successful attacks per week, compared to 72 attacks per week in 2011 and 50 attacks per week in 2010. · Information theft and business disruption continue to represent the highest external costs. On an annual basis, information theft accounts for 44% of total external costs, up 4% from 2011. Disruption to business or lost productivity accounted for 30% of external costs, up 1 percent from 2011. · Deploying advanced security intelligence solutions can mitigate the impact of cyberattacks. Organizations that deployed security information and event management (SIEM) solutions realized a cost savings of nearly $1.6 million per year. As a result, these organizations experienced a substantially lower cost of recovery, detection and containment than organizations that had not deployed SIEM solutions. · Cyberattacks can be costly if not resolved quickly. The average time to resolve a cyberattack is 24 days, but it can take up to 50 days according to this year’s study. The average cost incurred during this 24-day period was $591,780, representing a 42% increase over last year’s estimated average cost of $415,748 during an 18-day average resolution period. · Recovery and detection remain the most costly internal activities associated with cybercrime. On an annual basis, these activities account for almost half of the total internal cost, with operating expenses and labor representing the majority of the total. In conjunction with this third annual study of U.S. companies, cybercrime cost studies also were conducted in Australia, Germany, Japan and the United Kingdom. HP is hosting a series of webinars highlighting the findings from these studies, with the U.S.-focused webinar taking place Nov. 7. HP is changing the enterprise security landscape with the HP Security Intelligence platform, which uniquely leverages advanced threat research and powerful correlation of security events and vulnerabilities to deliver security intelligence spanning IT operations, applications and infrastructure. 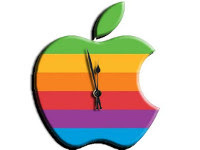 Keep the Apple away to enjoy an Hour a Day. So, let me digest this. Somehow, if we all go out and buy a new phone (smart or not) all the economic pain will abruptly end. Great the economic problem solved so let's get back to my "can't live without" new iPhone. I can just feel the sensation of that little gem in the palm of my hand. That slender firm larger body and slick brushed finish. An improved battery that will keep iphone 5 and me engaged for longer and more exciting times. What more can a man ask for? Did I forget to mention my dream phone will now give me the intimate Facebook experience, I've always longed for while eating my lunch. Wait ... there is something very wrong with the picture in my head. I asked myself, do I need an extra line of "Apps" on the screen? Do I need that slick body? Do I need a faster processor (iOS6) and longer battery, do I need "Do Not Disturb", since I learned simply to use the mute feature. Do I really need Passbook or do I need to find a "special hour" a day to spend with my wife. I don't have any little ones at home, unfortunately, wish we did. I though seriously, how much better will my life be with #5. Soon I realized those new features would only make me a greater prisoner of the phone gadget. I recalled my old Samsung (only phone .. no camera) devise. It called the people I need to talk to and then left me alone. I had no Apps, no Music, no Email and no Twitter but I had TIME. I read more, I talked to my neighbors more, I walked more, I laughed more and I enjoyed my wife's company more. I was a happier "iPhoneless Person" .... can you image the wonderful events of life that may happen when you have that extra hour a day to spend it in a social way. More than 5 million new iPhones and accompanying accessories will find their way into happy homes over the next few months. There will be many happy and engaged consumers exploring all the new bells and whistles the iPhone5 offers and with the new "Assistant" feature, you may just need one less friend. Wow, did I just hear that the improved 5.5 version is in the final stages of development. Can't wait to read about it and just maybe consider my own upgrade. Yes, they have us hooked. "Time is the most undefinable yet paradoxical of things; the past is gone, the future is not come, and the present becomes the past even while we attempt to define it, and, like the flash of lightning, at once exists and expires." According to SGIA's (Specialty Graphic Imaging Association) 2012 Market Trends and Product Specialties Benchmarking Report, digital imaging technology is the dominant technology for the graphics and sign community. Close to 70% of respondents indicated that they are exclusively digital or, are primarily digital printers. Wide format technology has advanced in terms of quality, speed and applications because of increasing competition among OEMs (Original Equipment Manufacturers) for their share of the rapidly growing Display Graphics market. 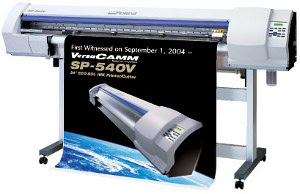 Banners, posters and signs remain the leading large format applications, with photography gaining an increasing share. Drawings, proofs, flags and textiles are showing declines, with other applications remaining relatively stable. Quality, price and speed are the three key drivers for selection of a signage and display graphics print provider. Customers are more familiar with digital technology due to the proliferation of vehicle wraps and outdoor banners and are demanding higher quality output. The key to providing the highest quality output at a competitive price is to use ColorMatch ink that eliminates any need to re-profile the equipment. Labor is a major cost component and re-profiling will cost more than any nominal "savings" from inferior ink. Sign shops, fine art printers and major equipment distributors use ColorMatch ink because its performance is true to its name. One hundred percent of Priceless Ink & Toner cartridges undergo Quality Assurance testing that virtually eliminates "read errors" upon cartridge installation. A technical service specialist recently reported that he has experienced a significant increase in "read errors" among a major OEM’s ink cartridges which is likely due to a decrease in their QA sampling. Every ColorMatch wide format ink cartridge is machine installed twice to confirm chip function prior to packaging. Adhesion, image permanence, cure times are also significant factors to consider when purchasing wide format ink. ColorMatch inks bought from our web store are fully guaranteed to be compatible with and provide performance equal to the equivalent OEM ink. 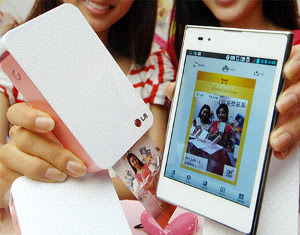 LG unveiled a new accessory in its home market – Pocket Photo printer. The small device is about the size of the LG Optimus Vu only thicker, measuring 2.8 x 4.7 x 0.9 inches. Leveraging heat-activated Zink paper, the Pocket Photo makes 2 x 3 inch prints without relying on conventional ink / toner (though you will have to buy that special paper from time to time). LG’s printer connects to Android-based smartphones via Bluetooth and/or NFC and a special app that allows users to tweak photos, apply filters, add QR codes and messages. The LG Pocket Photo will soon be available in South Korea in orange, pink and silver accents for $169. No word whether it will be available in the Western hemisphere, as well. Epson has expanded its Epson Connect suite of mobile-printing solutions with new Remote Print. Remote Print, which we previewed at Epson’s 2012 Fall Product Preview earlier this summer, allows users to print to an Epson e-mail enabled printer anywhere in the world directly from their computer or laptop, and works with any Windows software. Once the Epson Remote Print driver is installed and configured, the user just selects File/Print. How is this different from Epson’s existing Email Print solution and what’s the benefit? With Epson’s Email Print solution, users can print to remote e-mail-enabled Epson printers by attaching a file and sending it to the Epson printer’s e-mail address. The printer or All-in-One then prints the attached file. However, only Microsoft Office, PDFs and image files can be printed. With Remote Print, files can be printed using any Microsoft Windows application – not just Microsoft Office – with formatting and fonts kept intact. For instance, an engineer might wish to send an AutoCad file to another user. However, if the recipient doesn’t have AutoCad application software installed on their PC workstation, they can’t view or print the file. With Remote Print, the simply sends the print job to the e-mailed-enabled Epson printer or All-in-One, and the user doesn’t have to have the source application (AutoCad) installed on their PC workstation. Besides Email Print (which will soon include printing on ledger-size paper) and Remote Print, other Epson Connect solutions include Epson’s iPrint Mobile App. With this free app, users can print documents and photos from a smartphone or tablet, and it’s compatible with both Apple and Android devices. With the iPrint app, users can send Microsoft Office documents, photos, and PDFs over a wireless network to be printed by an Epson Connect-enabled printer or All-in-One. Users can also scan documents using an Epson Connect-enabled All-in-One’s scanning capability to their mobile device, where the scanned file can then be saved, e-mailed, uploaded to a cloud-based storage account, etc. In what is now Toronto on March 25 1872, the Typographical Society (Printer’s Union) went on strike against The Globe newspaper due to the long hours that were required of them to work six days a week. When George Brown, owner of the newspaper refused their request of a 9-hour day, the presses shut down at The Globe and at other papers as well. Almost a month later, with no agreement in sight, the Toronto Trades Assembly organized a march that included workers from other fields and headed to the government offices. What started as a Printer’s strike ended up changing Canadian Law and the workers won their right to a 9-hour workday. A few years later the head of the American Federation of Labor was in Toronto speaking at a labor festival and came back to US and organized a Labor Parade which eventually the Central Labor Union turned into Labor Day on September 5, 1882 in New York. In 1894 it became a Federal Holiday. So, if it weren’t for the PRINT INDUSTRY in another country, you wouldn’t be having this nice 3-day weekend. 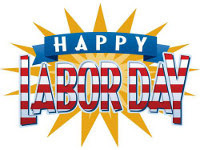 Priceless Ink & Toner wishes you a happy and safe Labor Day weekend! On Aug 28, 2012 Lexmark International, Inc. announced restructuring actions, including the exiting of the development and manufacturing of the company's remaining inkjet hardware, which are expected to result in annualized savings of $95 million once fully implemented. Lexmark will continue to provide service, support and aftermarket supplies for its inkjet installed base. "That announcement represents difficult decisions, which are necessary to drive improved profitability and significant savings," said Paul Rooke, Lexmark chairman and chief executive officer. "Our investments are focused on higher value imaging and software solutions, and we believe the synergies between imaging and the emerging software elements of our business will continue to drive growth across the organization. "As we move forward, we remain confident in our strategy, competitiveness and ability to create value for shareholders," added Rooke. The restructuring actions announced on Aug 28 are expected to result in reductions primarily in inkjet-related infrastructure as well as positions in research and development, supply chain and other support functions. The actions include closing the Cebu, Philippines, inkjet supplies manufacturing facility by the end of 2015. The actions also include eliminating inkjet development worldwide, including costs related to facilities, tooling, equipment, contract termination, and scrapping in process inventory, which are expected to be principally complete by the end of 2013. These restructuring actions are expected to result in the elimination of approximately 1,700 positions worldwide, including 1,100 manufacturing positions. These actions are expected to generate $85 million savings in 2013, increasing to ongoing annualized savings of $95 million beginning in 2015. Savings should be split approximately 65 percent to operating expense, and 35 percent to cost of goods sold. The company expects the majority of these savings to favorably impact pre-tax earnings. The total program pre-tax cost for these actions is expected to be $160 million, with $110 million incurred in 2012, $30 million incurred in 2013, and the remaining $20 million incurred in 2014 and 2015. The total program cash flow impact for these actions is expected to be $75 million, with $40 million impacting 2012, $30 million impacting 2013, and the remaining $5 million impacting 2014 and 2015. Lexmark is continuing to execute on its previously announced capital allocation framework of returning more than 50 percent of free cash flow to shareholders, on average, through dividends and share repurchases, while building and growing its solutions and software business through expansion and acquisitions. Lexmark announced that it plans an additional $100 million of share repurchases in the third and fourth quarter of 2012. With this action completed, Lexmark will have returned, through paid and declared dividends and share repurchases, more than $500 million to shareholders since mid-2011. Lexmark's Board of Directors approved an additional $200 million of share repurchase authority. Total share repurchase authority remaining after the additional $100 million repurchases will be $251 million. How to build a house? Now you can print it! Take a look at the video below to see how professor Behrokh Khoshnevis explains how Contour Crafting can print a custom design house for less than 24 hours. However if you use more traditional printers and you need supplies for them, visit our web store and order the printer supplies you need! Even on Mars, they need printer supplies! Never run our printer supplies, you never know when you are going to need additional printouts! Visit Priceless Ink & Toner and get all inkjet cartridges and laser toner cartridges you need! We are firm believers in a hardware strategy that is based on our notion that the need for color printing and large format 11” x 17” (ledger) printing and scanning is traditionally overstated. For small workgroups and companies, our strategy instead would be to deploy fast, secure and economical B/W A4 MFPs for a majority of the heavy lifting (copy/print/fax/scan), paired with a lesser numbers of color A3 printers for when users need to print in color, print documents larger than 8.5” x 14” (legal), and scan documents larger than 8.5” x 14”. However, the cost of a toner-based A3 color printer or MFP may be prohibitively expensive for many small offices and workgroups. What to do? For smaller A3 print volumes, consider an inkjet A3 color printer or MFP. Ultimately, the image quality is equal if not sometimes superior, and the acquisition cost can be a fraction of that of toner-based A3 MFPs. 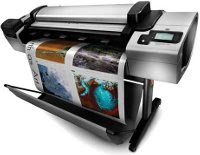 · Automatic duplex printing on media as large as 11” x 17.” It’s one of two devices in this class that can do so (the other is also a Brother model). 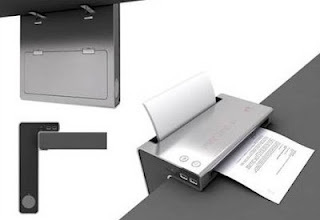 · Duplexing automatic document feeder. · Secure Function Lock (password-protect print, copy, fax, color print, as well as scan; set print page limits). · Compatibility with Brother’s BRAdmin fleet management solution and Driver Deployment Wizard. · Brother iPrint & Scan mobile printing and scanning solution. · Color touch screen and wired/wireless networking. Although it has an 11” x 17” (ledger) platen glass, the duplexing document feeder can only handle originals as large as 8.5” x 14”. Consequently, users who need to scan high volumes of larger originals will need to consider the equally competent Epson WorkForce WF-7510, but it has a considerably higher Cost per Page and Total Cost of Ownership. · Business-class design, construction, software and feature set. · Compatibility with Ricoh’s @Remote and SmartDeviceMonitor/Web SmartDeviceMonitor network- management solutions. Web Image Monitor embedded Web server. · Fast-drying gel-based ink cartridges provide superior duplex printing productivity. · High-yield ink cartridges yield 4,000 pages each. · Lowest Cost Per Page in this class, and lowest Total Cost of Ownership at monthly print volumes exceeding 2,000 pages. 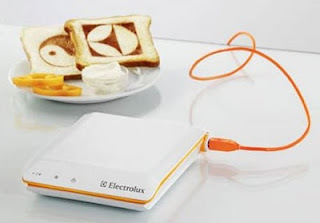 · Expandable media supply (up to 600 pages). Visit Priceless-InkJet.com for inkjet printer / MFP print cartridges. 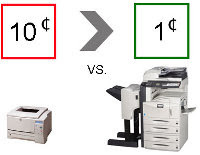 Save Money -- Compare Printers’ Cost Per Page, Not Just Purchase Price! 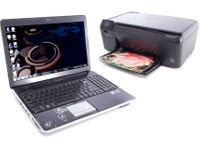 For many small-office and home-office users, one of the first considerations when buying a laser or inkjet printer or All-in-One (print/copy/scan/fax) is typically purchase price, then maybe color-print availability, network connectivity, WiFi connectivity, print speed and scan features. The pain may come later when toner or ink cartridges run out – often seemingly very quickly – and it’s time to repurchase them. The key to saving money and avoiding this pain is to be proactive: don’t just consider the printer or All-in-One’s purchase price, or the cost of its ink or toner cartridges, but its cost per page. While there is a lot about cost per page written in the past, we thought it might be helpful to review it for users who are new to the concept. Cost per page is simply the cost of the ink or toner cartridge divided by the vendor’s ISO/IEC 19752 standard page yield for the cartridge. For instance, cost per page for a black ink cartridge listing at $30.99 that will be good for 1,000 pages is 3.01 ¢. For color printers, there’s typically four ink or toner cartridges required – one each for black, cyan, yellow and magenta (CYMK). Color cost per page is obtained by calculating cost per page for each black, cyan, yellow and magenta cartridge, and then adding together the cost per page for each cartridge (for instance, if cost per page for each black, cyan, magenta and yellow cartridge is 3¢, total cost per page for a color page would be 12¢). Most inkjet printers and All-in-Ones print in color, and have permanent print heads, so that only four consumables need to be replaced – four CYMK ink cartridges. Toner-based printers (using either laser or LED-array printing technology), use only a black toner cartridge or, if they’re color printers, use black, plus cyan, yellow and magenta toner cartridges. However, waste-toner collection boxes, imaging drums and/or fusers may also have to be periodically replaced, so the cost per page for these items must also be included. Generally, most manufacturers sell lower-priced, standard-yield ink and toner cartridges, and higher-priced ink and toner cartridges. While it might be tempting to go for the lower-priced ink or toner cartridges, the higher-priced cartridges are always a better buy because they’re good for printing more pages and their cost per page is much lower. It may just seem like only pennies’ difference, but the more you print, the more it adds up, and you could possibly save or lose thousands of dollars over the lifetime of the printer. For instance, if my color inkjet printer has a color cost per page of 7¢ while my color laser printer has a cost per page of 20¢, if I’m printing a 1,000 pages per month on my inkjet printer, my ink cartridge cost will add up to $70 per month, while my color laser printer’s cartridges will cost me $200 per month. At the same time, just because a printer/All-in-one’s ink or toner cartridge is less expensive than a competitive printer/All-in-One’s INK OR toner cartridge doesn’t mean the lower-priced cartridge necessarily means you’re saving money – it could be just the opposite, since it depends on how many pages the cartridge is good for printing. For instance, a $20 cartridge that yields 400 pages has a cost per page of 5¢, while a $30 cartridge that yields 800 page has a cost per page of 3.7¢. In the past, inkjet printers were designed primarily for consumers and home use; they had very low purchase price, but cost per page was high. Today though, we’re seeing a new class of inkjet printers for business use with higher purchase price but much more affordable cost per page, such as Epson’s WorkForce series, Hewlett-Packard’s Officejet series and Lexmark’s OfficeEdge All-in-Ones. 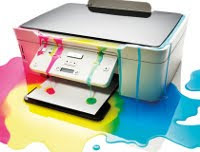 In fact, cost per page can be considerably lower with these business-class inkjets versus color laser printers/All-in-Ones – for instance, 9 cents for inkjet color cost per page versus up to 26 cents for a comparable color laser printer/All-in-One. Another advantage of inkjet printing is that it’s much more simpler in design than more complicated laser technology – there are fewer moving parts with inkjet printers, which translates into the fact that inkjet printing is a more reliable technology than laser, with less chances of malfunctioning occurring, and thus less chance of service required. Another advantage of inkjet printing is that much less power is required – well over 50 percent less – versus a comparable laser unit, so you’ll be paying much less in power consumption (as much as $30 per month at 3,000 pages per month in one of our inkjet vs./laser comparative studies). 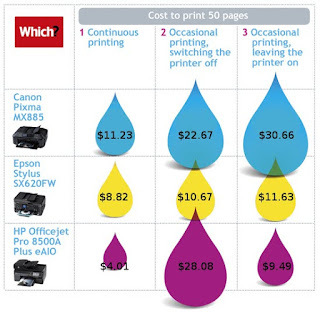 What else can you do to minimize ink and toner cartridges’ cost? 1) Because the cost of color printing is always higher than the cost of black-and-white printing, minimize color printing. For instance, avoid using it when not required, such as when printing drafts, Web pages and in-house documents. Some office-level printers and All-in-Ones also provide controls that enable administrators to disable color printing for some users, automatically shut the printer down after work hours, and disable color printing from USB flash memory drives. You can also make black-only printing (the least-expensive and longest-lasting toner or ink cartridge) the default in the print driver. 2) When considering a color inkjet printer or All-in-One, opt for ones with four separate color cartridges, not for printers that use a black ink cartridge and a single color cartridge that contains all of three cyan, magenta and yellow inks. With these all-in-one color ink cartridges, once color ink is depleted, the entire cartridge should be replaced, even though the other two colors may still be good, wasting ink. 3) Purchase the highest-yield ink or toner cartridges available. They cost more out of pocket, but cost per page will be lower than that of standard yield cartridges, saving you money in the long run. You’ll also minimize emergency trips to the office-supply store, saving you time and money. Hewlett-Packard has introduced the OfficeJet 150 Mobile All-in-One ($399.99), a portable, battery-powered All-in-One that measures approximately 3″ x 7.5″ x 14″ and weighs in at about 6.5 lbs. It includes an AC power adapter and rechargeable Lithium Ion battery (print up to 500 pages on a charge). It can also be powered by any HP notebook power supply, and can connect via USB and Bluetooth wireless networking. The name of the game may be portability, but the OfficeJet 150 Mobile gives up nothing in terms of image quality and productivity. The tests showed that image quality (particularly photos) was as good as nearly any other competitive full-size ink-jet system, and that black business-quality output was just over 6 ppm (perfectly readable/archival draft mode is considerably faster). The Officejet 150 Mobile is the next logical step up from the previously tested printer-only OfficeJet 100 Mobile Printer with the Mobile 150′s addition of color copy and color push/pull scan a single original at a time. The Officejet Mobile 150 also has Bluetooth wireless connectivity for printing from Apple Mac, MS Windows, Linux, Blackberry, PalmOS, Windows Mobile devices, for wireless printing without being connected to a wireless network. A “wow” factor is the folding color touch screen. It has better response than some older Officejet touch screens and makes the device remarkably easy to use. Many vendors toss the phrase “Mobile Printing” around with abandon. Their definition of mobile printing is the ability to print either: 1) wirelessly to a WiFi printer (e.g. : Apple AirPrint); or 2) send a job as an e-mail attachment (e.g. : Epson Connect or HP ePrint). However, HPs OfficeJet Mobile 100 and 150 printer and All-in-One provide true “Mobile Printing.” That is, you can wirelessly print anywhere with Bluetooth connectivity, anytime, with no wireless network or AC power required – the device you’re printing from – whether a laptop, tablet or smartphone – just has to have Bluetooth connectivity. With the OfficeJet 150 Mobile, you can also scan to USB flash memory drives and memory cards when connected via Bluetooth. Indeed, printer OEMs are focusing much of their development efforts these days on rolling out new hardware that is capable of supporting printing from mobile devices, along with various mobile printing software and apps. This is part of a concerted effort to make printing more relevant to mobile users, particularly as home printer users’ print volumes continue to dwindle. However, it seems that despite the proliferation of options, most home users in PC Advisor’s small sample have yet to take advantage of the mobile printing options at their disposal. Still, some home printer users are using these technologies, which is good news for printer makers. PC Advisor found that 25% of respondents print from mobile devices exclusively or in combination with other devices (12% print from both PCs and tablets, 1% of respondents print from PCs and mobile phones, 1% print only from tablets, 1% print only from mobile phones, and 10% of respondents print from all of the devices—PC/laptops, tablets, and mobile phones). In our estimation, it is not the quality of inkjet-printed photos and more likely the time-consuming nature of printing photos at home and the ease and cost advantages of ordering prints online or at retail that is deterring home photo printing. But home printing itself is dwindling in general, in large part due to the proliferation of mobile electronic devices that replace the need for hardcopy altogether. We expect that more home users will gradually begin printing from mobile devices. But will this make up for the large volume of pages lost to electronic media or other printing options? That seems nigh impossible. Still, if home printers are to remain more relevant than buggy whips, printer vendors must continue to make printing easy and convenient to mobile gadget lovers, even as they continue to target those printing more traditionally from PCs and laptops. What would be interesting to see is a follow-up poll on print volumes and how they have changed that asks how many pages are printed each month by each type of home printer user—those who print from laptops/PCs and those who print from a combination of devices including a mobile devices—and whether each type of home printer user’s print volumes have increased or declined compared with five years ago. If printer OEMs’ quarterly financial results are any indication, it would seem a safe bet that no matter what device home printer users choose to print from, they are printing much less than in years past. No matter whether you print from a laptops/PCs or a mobile device, you can always get your printer supplies from Priceless Ink & Toner. Now get 25% off all eco-friendly printer supplies! Developing of printing industry occurs in several different directions: entertaining, productive and ecologically-conscious printing. It is time to learn more about already existing printers and a number of concepts of the printing devices of not distant future. It is not a joke, but just a must have device for every stylish teenager girl as it can print any picture on your nails just for several seconds. It is a 3D printer which can be used at home. All you need is to connect your computer or laptop to it and then send a picture you want to print. As you can understand from the name of the device it looks like a photo frame. In fact, it is an 8" photo frame that can print. 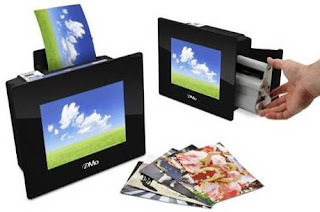 iMo Foto Frame Printer can deliver 6" x 4" photos right from a memory card or from computer as it has a card reader and a USB port. This portable printer has resolution of 800x600 dpi. One of such printers is situated in Fukuoka, Japan. This printer-fountain can print text and even images with cool water. The outlets at the top of the fountain disperse water at special timing so that producing scrolling images. It is the most expensive printer of the article. Specific feature of this printer is that it doesn’t use any consumables except polyethylene plastic that can be used for up to 1000 times due to special thermal printing head. However, mass production of this printer was not launched. 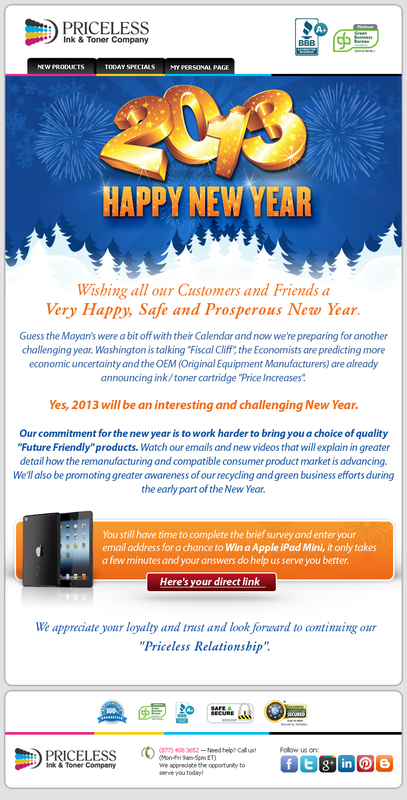 So if you are interested in it you should consult to the manufacturer. It is a concept by Marcelo Coelho and Amit Zoran. 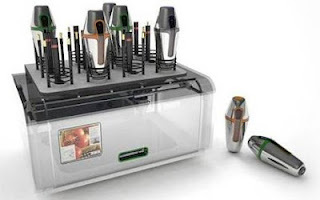 Cornucopia Food Printer is a kind of 3D printer that is able to print with food. Special tank will store and mix ingredients and printer itself will warm them up. 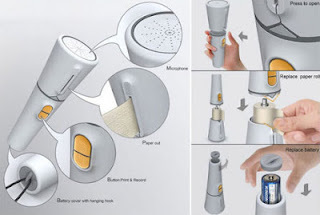 This device was designed by Jeon Hwan Ju and is a unique and eco-friendly printer as it uses coffee or tea dregs as ink. All you need is to add paper and fill the ink case. This printer is incredibly saving and ecological, still it delivers only black and white documents. Let’s continue with food printing. Though it is rather a gimmick, it is worth mentioning. It can be a good present for those who like trifles. It can print both images and text. 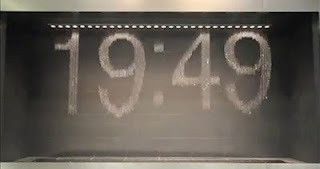 Special programme converts information into 12x12 pixel images and then burn them on toasts. 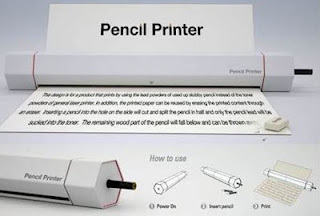 Here is a concept of printer that uses pencil lead for printing. It is an eco-friendly device that saves energy as it doesn’t radiate heat and save printing paper as it can be reused: just use eraser and you are ready to print on the same piece of paper for dozens times. It is rather a social project as the concept was designed to help people who are sight-impaired. Embossing Braille Printer can deliver imprints with Braille characters transferred from voice record. 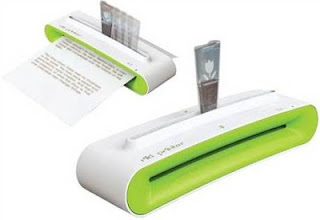 The device turns to be very helpful as it can print labels for vitally important thing as pill-boxes, files, CDs etc. Amazing new concepts and ideas! But if you still own an inkjet or laser printer and you need supplies for it, don't hesitate to visit our ink and toner web store at www.priceless-inkjet.com! Get constant 20% off replacement products and free shipping, just by creating a personal page! Success and a competitive edge in the print industry depend on a good mix of print products and reliable technology. In meeting these requirements the bizhub PRO C754, Konica Minolta’s new colour multifunction printer (MFP), offers a powerful feature set of innovative technologies and strong price performance. Its unfailing print engine, powerful scanning features, ease of use and affordable price make the bizhub PRO C754 multifunction printer a safe investment for different application areas. It’s convenient operation keeps the digital learning curve low and lets printers concentrate fully on their business. In the print-for-pay business, time is money. With its intuitive and customisable user panel, the bizhub PRO C754 multifunction printer enables print providers to save valuable time by offering walk-in users self-service for their copying, printing and scanning needs. Efficiency is key for CRDs looking to support incoming requests with competence and creditable results. The bizhub PRO C754 multifunction printer fulfils their demands with powerful finishing features that increase productivity and allows print runs to be automatically completed without requiring any further manpower. Konica Minolta’s new multifunctional device produces customised full colour content in-house and on-demand, saving both time and money. The technical reliability of the bizhub PRO C754 keeps the system up and running and gives productivity an additional boost. Widening the CRD’s scope of duties, the bizhub PRO C754’s scanning features easily turn it into a central scanning facility, offering direct digitisation into workflows so that users are left with more time to concentrate on their real tasks. Buy Konica Minolta printer supplies, from our web store.